Julian Assange could be evicted from the Ecuadorian embassy in London, if Ecuador’s opposition leader wins his country’s presidential election next week. 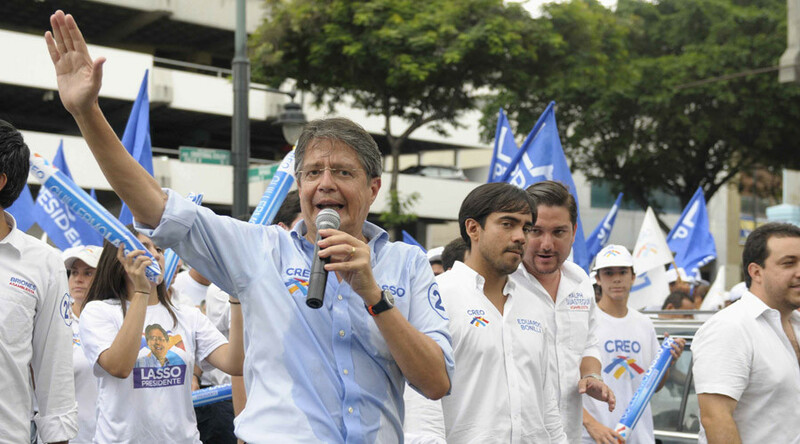 Guillermo Lasso, head of the right-wing Creo-Suma party, told the Guardian that “the Ecuadorian people have been paying a cost that we should not have to bear” for sheltering the WikiLeaks editor-in-chief. As a result, he “will cordially ask Señor Assange to leave” within 30 days of assuming office, should he be elected. Assange has been living in the London embassy since June 2012, when he applied for political asylum to Ecuador in order to evade extradition to Sweden over allegations of sexual assault. The WikiLeaks chief has vehemently denied the allegations and openly cooperated with the Swedish authorities from his room in the embassy. In November last year, he met Swedish prosecutors inside the embassy. Assange has expressed concerns that extradition to Sweden may lead to a further deportation to the US, where he is likely to face life imprisonment or the death sentence for his activities as the head of WikiLeaks. Although it could be considered gracious of Lasso to give Assange 30 days’ notice, the Australian appears to have little power to avoid deportation if he is evicted. The British police and security officers continue to surround the embassy in order to prevent Assange from escaping the premises. In February 2016, RT calculated the operation had cost the British taxpayer almost £14 million (US$17.5 million). At the same time, the UN ruled that these actions amounted to “deprivation of liberty” and “arbitrary detention,” though its decision was not binding. Assange’s health has significantly deteriorated over the four-and-a-half years of his stay in the London embassy. The WikiLeaks chief has reportedly suffered high blood pressure, arrhythmia and a chronic cough, as he is deprived of access to fresh air and sunlight. 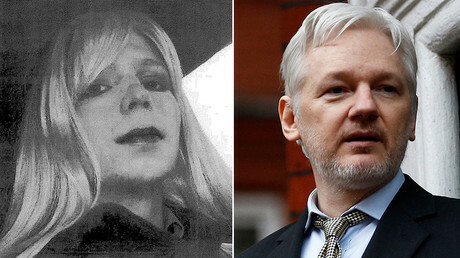 Assange has agreed to go to the US after the formal release of Chelsea Manning, a major US whistleblower, in May this year, provided his rights are respected. However, if Lasso wins the Ecuadorian elections next week, the WikiLeaks head may find himself in the US a lot sooner and on less beneficial terms.